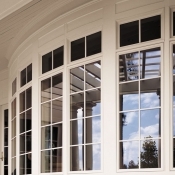 Raymond Building Supply is SW Florida’s one-stop source for building supply products and materials, including custom doors, cabinets, appliances, trusses, lumber, windows and more. RBSC maintains extensive inventories of mill-direct products and materials from hundreds of the finest manufacturers and suppliers in the United States and Canada. Building professionals and homeowners alike can rely on RBSC’s experienced team to inform them about the construction industry’s most recent technologies, trends and techniques. We serve Florida communities with warehouses and showrooms located in Lee, Collier, Sarasota, Hamilton, Broward and Hillsborough counties. Whether you are in Bonita springs, Fort Myers, Sanibel, Punta Gorda, Boca Grande, Sarasota or Marco Island you’ll find a full line of building supply products. You can count on RBSC to simplify the entire process of procurement through finished installation by taking advantage of the company’s skilled, in-house, insured team of installation professionals.